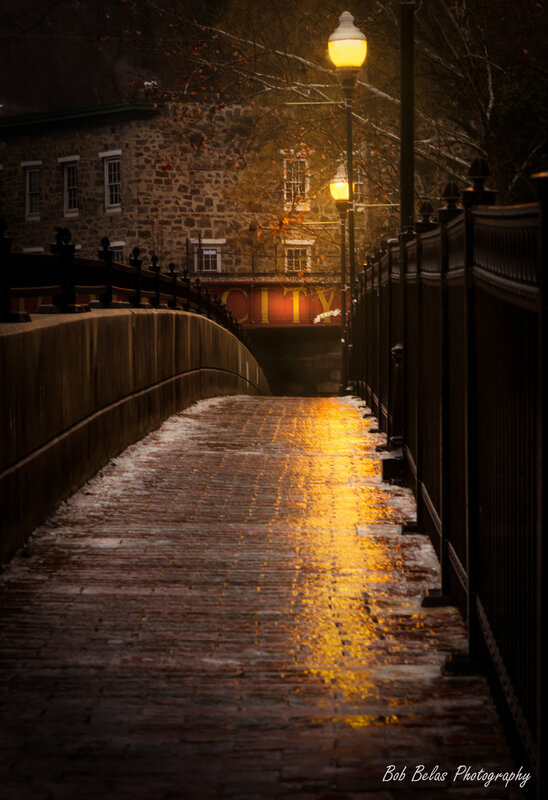 I took this photograph a few years ago after a nasty evening of freezing rain left the streets and walkways in old Ellicott City a nightmare for drivers and pedestrians alike. While the footing was unbelievably treacherous, the weather produced wonderful cityscapes, and this is one that stands out. I especially like the duality of the warm, inviting train bridge sign and warmth of the street lights, juxtaposed with the icy cold of the sidewalk.